Oxidised Silver Raven Necklace : LOVE2HAVE in the UK! 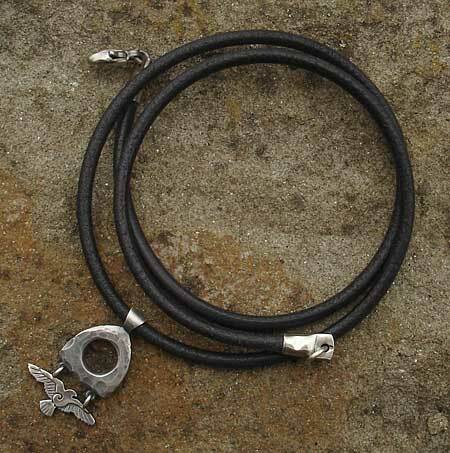 This item of designer jewellery is a silver necklace for men and women from our 'Raven' range of jewellery. The Raven is a bird which became famous for delivering important messages for Royalty, demonstrated in such TV series as 'Game of Thrones' for instance. 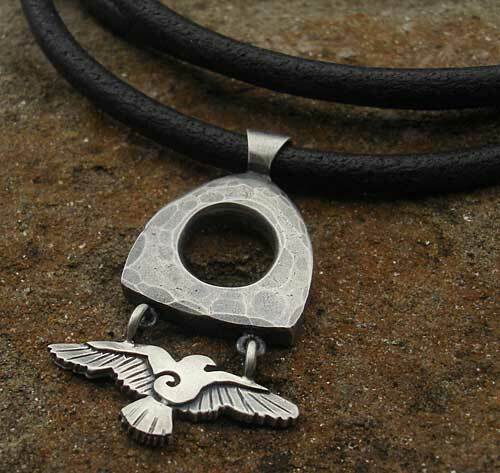 A black leather necklace with a large silver triangle logo and a ball suspending a silver Raven bird from tiny jump rings off the bottom of the pendant. The logo and Raven measures approximately 25mm x 16mm. The necklace comes on an 18-inch black leather. The silver has an oxidised finish to it with hammered detailing on the triangle part. The combination of these two finishes impresses a distressed urban design style.